TMF Quality Control or TMF Inventory:What’s the Difference? Over the years, I have participated in and managed a number of TMF Quality Control (QC) projects, and it has become one of my favorite activities. It’s one of the reasons I am facilitating the Metrics Champion Consortium (MCC) initiative on the TMF and leading the quality work stream for the TMF Reference Model. One thing I have seen over and over are TMF inventories camouflaging themselves as TMF QC outputs. So, what’s the difference? Are you performing a true TMF QC based on expectations? By definition, “quality control” is “a system for verifying and maintaining a desired level of quality in an existing product or service by careful planning, use of proper equipment, continued inspection, and corrective action as required.” A true review of the TMF is based on expectations (eg, SOPs and study specifications), not just what documents are present. On the contrary, an “inventory” is defined as “a complete listing of merchandise or stock on hand, work in progress, raw materials, finished goods on hand, etc, made each year by a business concern.” A standard checklist is used to document what is or is not present without any reference to expectations. By definition alone, I hope that organizations strive for a QC of their TMF—not a simple inventory—with careful planning, proper equipment (ie, process and checklists), and corrective action (ie, find and correct). But when it comes down to it, it’s SOOOOO much easier to hire a few resources or assign resources who are waiting for their next project to document “findings” in a spreadsheet and (hopefully) remediate them to completion. 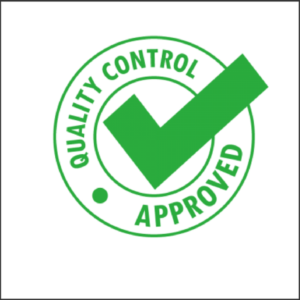 What are the six elements of quality control? If we break down “QC” and what it means, it is simply a systematic procedure made up of six elements that are intended to ensure we are performing TMF QC and not just creating a TMF inventory list. According to the dictionary.com definition, the six elements of quality control are as follows (FYI – I changed the order. ): 1) careful planning, 2) the desired level of quality, 3) proper equipment, 4) verification, 5) continued inspection, and 6) corrective action. Careful Planning: It’s inevitable. When we have a study that is “high priority” or has a high risk of inspection, we want to know what is and what isn’t in the TMF. The difficult part is determining how to perform the QC. Start with a well-developed TMF QC Plan (ie, SOP or process) with a clearly defined scope, responsibilities matrix, TMF QC tracker, and timelines. Taking the time to develop a detailed Plan will ensure a more viable QC process. Desired Level of Quality: Before starting the QC process, engage relevant TMF Stakeholders to come to an agreement on how to define quality and the quality threshold (ie, establish the level of quality that you are aiming for within your TMF). When developing the threshold, it is important to understand how the threshold will be utilized (eg, Corrective Action and Preventative Action Plan) and maintained. Establish clear definitions on how to pass or fail a document (or document types) and the thresholds at the study, program, or enterprise levels (if those exist). Proper Equipment: In the context of this blog, “proper equipment” refers to the tool that the QCers will use that is essential to the TMF QC process. This step also differentiates a TMF QC from a TMF inventory. For capturing the TMF QC results, it’s important to use a tool customized according to the study requirements. For example, if there were eight protocol amendments (Yes, that happens!!) and all of the associated documents (eg, approvals, protocol acceptance by the Investigator, etc) are listed as “expected,” and the QCers are looking for those documents. Additionally, the tool should be user-friendly simultaneously accessible to all Stakeholders. (Similarly to what many regulatory agencies say about eTMF training, it should not take very long to train on the TMF QC tool.). Study’s reference documents – All applicable protocol(s), Investigator Brochure, etc. Essential documents – Set up a user’s TMF QC reference guide. Study milestones/events achieved – Helps to determine which documents should be present. Document collection and filing – TMF QC intervals align with company requirements/SOPs. Document life cycle – Different documents amongst the Functional Lines/Study Team members. Study phase – Impacts the document collection process and schedule. The same schedule should be followed by all TMF Stakeholders regardless of their Functional Line. Document QC – Do not QC the same document twice. Corrective Action: Please do not let discrepancies sit for a long time. Perform remediation as you identify discrepancies. If this is not possible, discrepancies should be remediated in a timely manner (suggest <30 days). Performing a true TMF QC review based on what types of documents you expect to see in the TMF, not just on an inventory list of what’s present will ensure that your TMF is complete, accurate, and inspection ready at all times. With careful planning, an agreed level of quality, proper equipment, verification, continued inspection, and corrective action, you can be assured your TMF is of high quality.